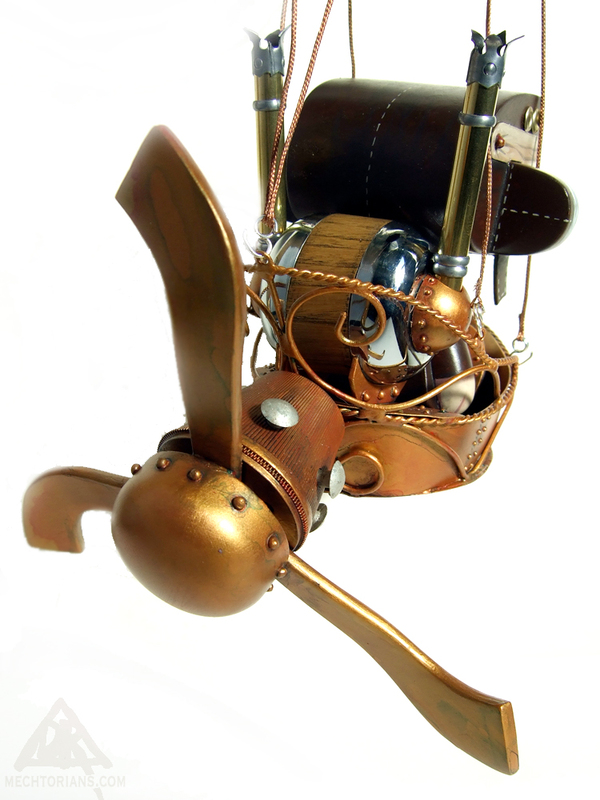 Forced to abandon his Perambulation Engine due to intolerable slowness and annoying mechanical problems. 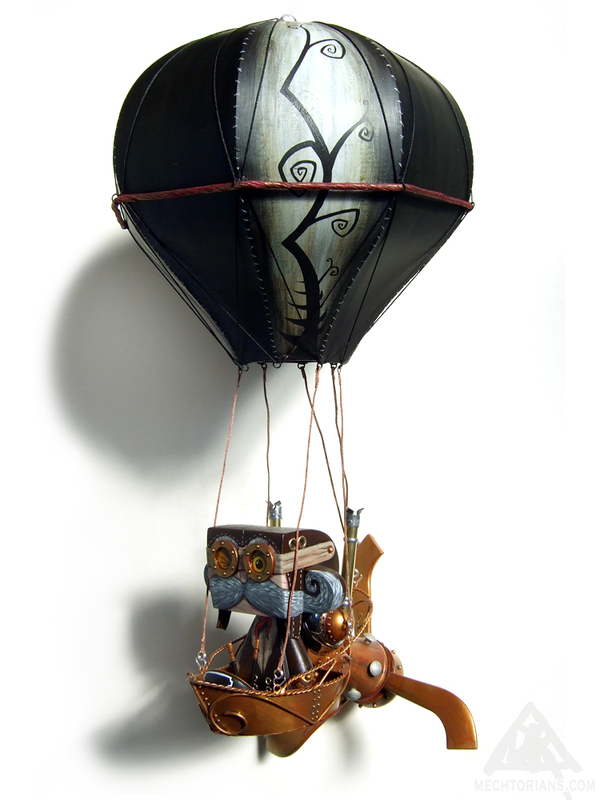 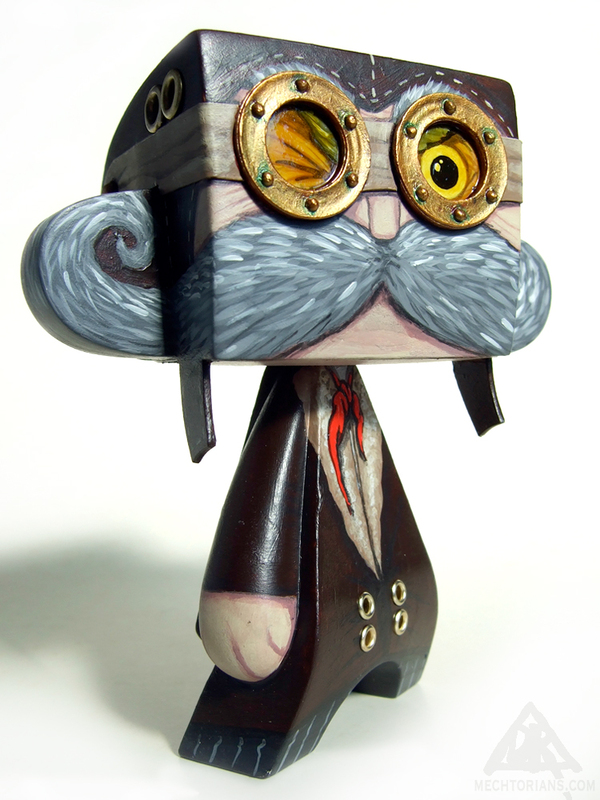 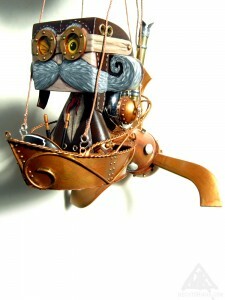 Colonel Juggernaut is forced to take to the air in attempt to make up lost ground to Mr. Fogg. Using a customised Madl toy by Solid Industries. 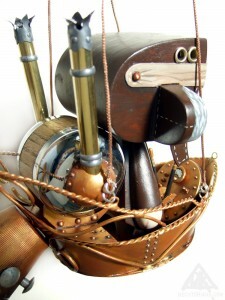 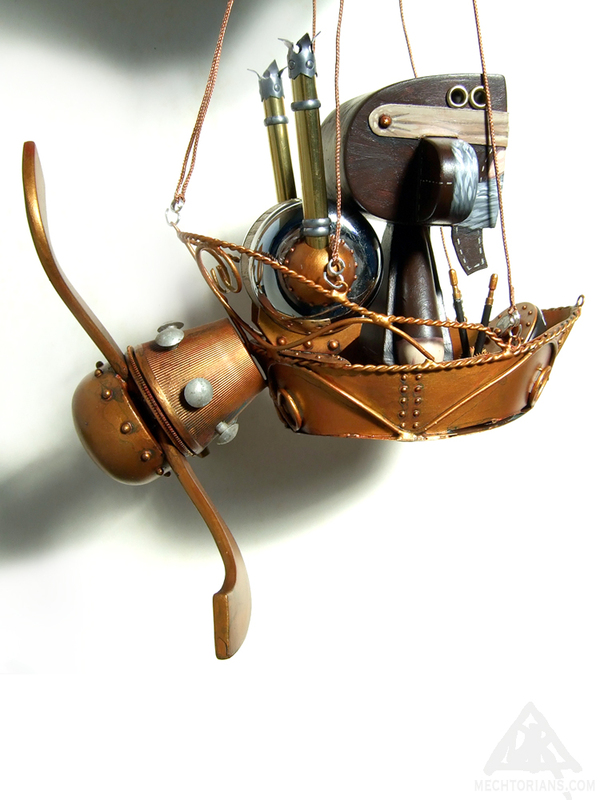 Vinyl, Tin, Copper, Brass, Steel, Lead, Chestnut wood, Bamboo, found Objects.